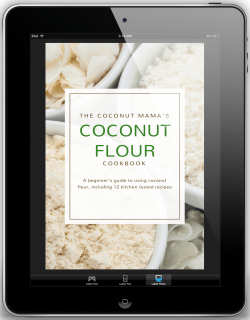 I am on a diet in which you use a lot of coconut oil and coconut, so I would love to have more recipes which I can use. At the moment I can’t use bananas, because of all the carbs, but the moment I have lost all the excess weight, I will definitely try this lovely recipe. You are such a beautiful young woman! It is so exciting to know so many young people are becoming more aware of healthy eating and all the options that are available to us. Thanks for the contribution that you are making. It is amazing. You are a star! Thank you for the Banana-Coconut Raw Vegan Ice Cream recipe. I’m gonna try making it in my food processor and see how it turns out. Although I haven,t tried out all of your recipes,I always pass them along to friends. I love the banana ice cream with frozen cherries, yumm. We also love frozen pineapple with ginger! And yes, we also love Daniel Tiger!!! Which often did you use ? Shredded. What s good about flakes and chips? I am looking forward to make. 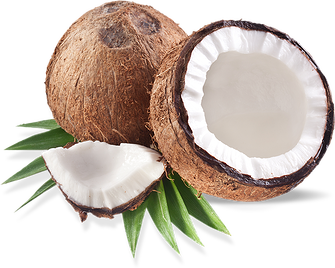 Can I order organic dried coconut shredded 1 gallon but the question is will it melt in the summer if I keep it in basement or kitchen or? How long will it expired when I open the pail? Same thing with coconut oil pail that I am thinking to order? melt ? how long ? no expired date? I would like to try to use it since it looks so good healthy food. Plus any frozen fruit would work that way instead of bananas? This sounds GREAT! Can I swap vanilla extract for the vanilla bean powder? Could I use vanilla extract instead? The one you posted is too expensive for me. Made something similar to this the other day. 4-6 Bananas (frozen), 1-2 T peanut butter, 1-2 T cocoa powder, and 1-2 T coconut oil, use a food processor to blend. Very tasty.